Key stretches that’ll improve your run tenfold. There’s no way around it: Stretching is essential before and after any type of exercise. 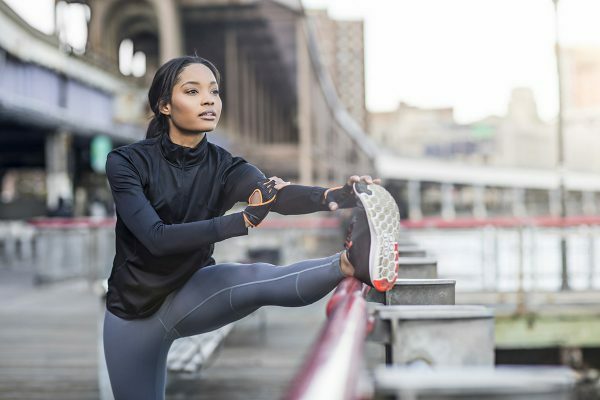 It’s easy to slack off and head straight to your car or the smoothie shop, but skipping stretching can have major repercussions. This is especially true for runners. While it may not seem obvious, you pre- and post-run stretches (or lack thereof) can majorly affect your workout. Form, range of motion, and injury risk are just a few things affected by their inclusion in your routine. Below find six vital stretches for runners that you should be doing before and after hitting the treadmill or trail. An offshoot of dynamic stretching, moving stretching is a type of resistance stretching that aids in reconditioning muscles, making you stronger, and improving your flexibility and posture. To put it simply, moving stretches place tension on the muscle while it’s stretching, not just when it’s contracting (like with most dynamic stretches). This engages not only the muscle but the tendons and fascia (connective tissue). “It is great for runners who report increased mobility and performance,” says Suzanne Wylde, BSc (Hons), BM, MATCM, creator of Moving Stretch, and author of Moving Stretch: Work Your Fascia to Free Your Body. “We tense the muscles and maintain that tension while we move. We do not hold the stretch [ed. note: meaning they’re not static]. We also stay within safe ranges of motion, never pushing through the pain.” From Olympic swimmers to professional basketball players, plenty of athletes credit similar forms of resistance stretching for their peak performance. Keep reading for some key moving stretches for runners, as well as other dynamic and static essentials. Warming up your legs is crucial for runners—preventing tension and decreasing the possibility of injury. This simple stretch has a few variants, all of which are used to stretch and warm up your legs and hip joints. Whether you’re walking, jogging, or running, your legs hinge from here, so they need to be stretched out before exercise. To perform, stand up straight with one hand flat against a wall for balance. Keep the leg closest to the wall stationary while slowly swinging the opposite leg forward and back. Do ten to 20 repetitions on this side, then switch to the other and repeat. Try to get your full range of motion towards the end of each set. To hit your inner thighs, step away from the wall and hold your arms out. Stand with both feet together, then raise one leg out to the side. Swing it in front of the balancing leg, then back out to the side. Do on both sides for ten to 20 reps, keeping your core strong. Many runners experience pains and strains in their lower legs. Whether that’s the case for you or you’ve never experienced a shin splint (lucky you), you need to be stretching and strengthening this area. Alternating calf raises are a go-to that targets just that. The move is done while standing, placing one foot on its toes and ball. Lower your weight onto this foot while slowly bringing your heel to the ground. Alternate by bringing the opposite foot to its ball while lowering the starting foot. Repeat by alternating both sides, going from toe to heel. Start slowly for about 20 seconds, then move at a brisk pace for 20 more. Not only does this improve your flexibility, but it also mobilizes your legs pre-run. When most people think of stretching, they think of lunges—and for good reason. This stretch alone improves your posture, protects your spine, relieves lower back pain, and warms up your upper legs—all very important to runners. 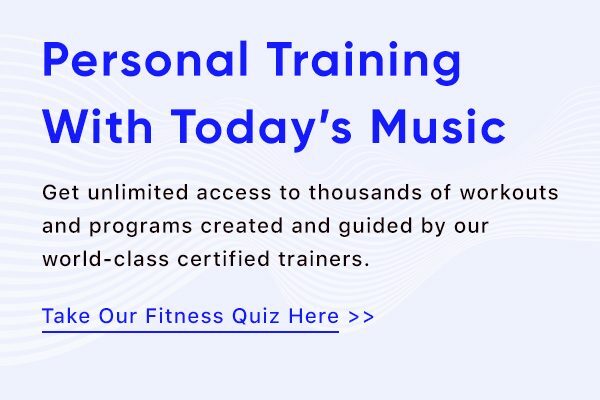 It’s easy to add movement to, making it suitable for your warm up (by way of walking or alternating lunges) or cool down (by holding in place). For a cool down variation, try a moving stretch low lunge. Wylde recommends beginning as if you were getting into a starting position for a race, with both hands on the floor. “Then push your back leg even further out behind you so that your legs are quite far apart. Push your bottom up into the air and tense the front of your hips as your lower your hips down. Lift your head as far as you can comfortably, bending your front knee even more. Return easily to the start and repeat,” she instructs. Cooldown stretches, while often dismissed, are just as important as pre-run stretches. 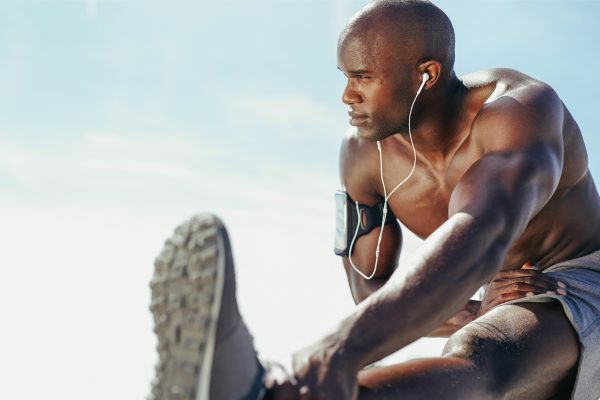 While stretching before a run warms up your body and prevents tension mid-workout, stretching afterward can improve flexibility and prevent stiffness (because we all loathe stiff legs). These post-run stretches should be held in place and done within your body’s limits (though you may be tempted to take it further). A prime example of a post-run stretch is the cross-legged forward lean. “Sit with your legs crossed and hands under your knees,” Wylde begins. Remember to avoid hunching or over-arching your back. “Push your knees down into your hands continuously as you lean forward to stretch. Make sure [that] your feet are not too far back towards your bottom. Play with the distance so that you feel a stretch,” she advises. If crossing your legs feels uncomfortable, unwind and place the soles of your feet together, knees pointing outwards. Gently push your knees down with your hands or elbows, and lean forward. Don’t fret if you can’t fold over all the way—that flexibility will come with time. If you’re unfamiliar with adductors, you’re not alone. These muscles (located in your thighs) assist in knee stabilization and hip extension. Since you’re constantly performing both of these motions while running, your adductors often end up beat. It’s important that they get a good post-run stretch. Wylde tells us exactly how to stretch out this area, explaining, “[While] on your hands and knees, put one leg straight out to the side, foot pointing forwards. Continuously pull your foot down into the ground and slightly towards you as you sit back to stretch the adductors of your straight leg.” Try to sit back by bringing your bum to the foot still under you. “Then, return easily to the start position. Intensify the stretch by rolling your torso away from the leg you are stretching and looking away from your straight leg,” Wylde says. The piriformis is another muscle not commonly spoken of. The muscle is in the gluteal region and, similar to your adductors, helps stabilize the hip and pelvis. It’s used every single time you take a step (no big deal), meaning it needs some serious rest and relaxation after a run. To stretch it out, start by lying on your back with your legs bent. Place your right ankle on top of your left knee and your hands under your left thigh. From here, pull your left thigh towards you, opening your hips and stretching your hamstrings. Hold for 30 seconds before switching sides. Add these stretches for runners to your pre- and post-workout routine to ensure you’re maintaining a full range of motion and working to avoid injury. So You Want to Start Meditating This Year? How Aaptiv can up your meditation game.